This solid oak spool cabinet from the 1890's has its original stencil advertising for "Goff's Braid," and could be a jewelry box or collector's chest. Made for a store to sell spools of thread in the days when every woman sewed, this American made antique has an excellent deep finish. 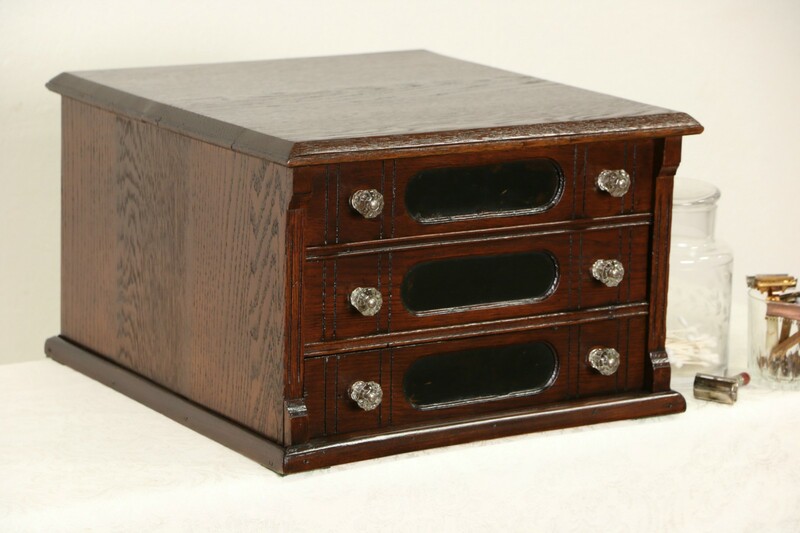 Three drawers have "finger" dovetailed joints. Size is 17 1/2" wide, 19" deep and 11" tall.